Anybody that knows me will tell you that one of my all-time favorite movies is Dark Night of the Scarecrow. Both David and I have written about it many times on this blog, I did a piece on it in Scary Monsters Magazine #81, and also contributed a chapter on it for an upcoming sequel to the book Horror 101: The A List of Horror Films & Monster Movies presented by A.C. Christensen. Despite featuring a killer scarecrow, the film’s true villain was Otis P. Hazelrigg brilliantly and devilishly played by Charles Durning and I was saddened to hear that yesterday, Christmas Eve, Mr. Durning died at the age of 89. Durning is an inspiration to any of us middle-aged folks who think that our best years are behind us. He didn’t get into acting until he was in his forties and soon became on of Hollywood’s busiest supporting actors. The role of Otis P. Hazelrigg was not one the actor relished, stating he “had no redeeming qualities.” Later, as the film gained momentum as a cult hit, he would rethink his position and gain a better appreciation for it. Durning wasn’t a regular of horror films but he was essential to this one and we’d like to take a moment on this Christmas Day to tip our postal hats to one helluva a great actor! We’d also like to offer our condolences to our friend, J.D. Feigelson, writer of Dark Night of the Scarecrow and friend of Durnings. Anybody who hasn’t had a chance to see this revenge from the grave tale and Durning’s amazing performance can order the new Deluxe edition DVD by clicking on the photo above. In just a few hours my daughter, Jade, will be opening up her own copy (personalized by Mr. Feigelson). She’s eleven years old; the same age I was when I first discovered the film and I was so proud when I saw it on her Christmas list. Indeed, this movie along with Charles Durning’s Otis Hazelrigg, will live on! 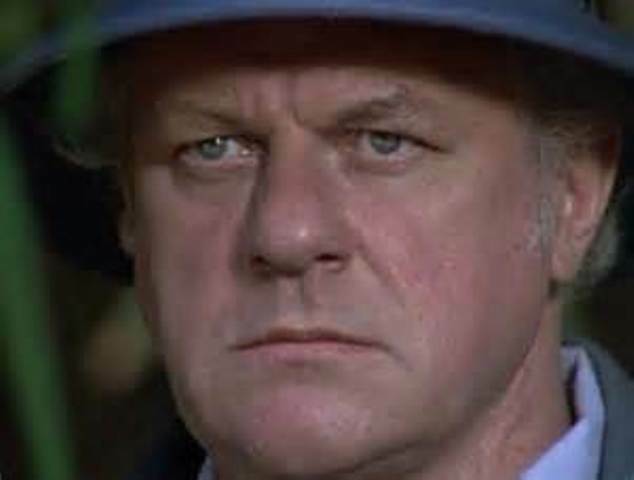 This entry was posted in In Memoriam and tagged CHARLES DURNING, DARK NIGHT OF THE SCARECROW, J.D. FEIGELSON. Bookmark the permalink. ← The Aurora Monster Model Kits: Gone But Certainly Not Forgotten!